Clavelshay Barn Restaurant promises “a taste of the countryside” and the reality does not disappoint – offering top quality local produce in unspoilt idyllic surroundings . The restaurant is set in a converted barn on a working dairy farm, nestled in its own secluded valley, yet is within easy reach of Taunton, Bridgwater and the M5. The barn itself has been sympathetically converted by owners Bill & Sue Milverton, retaining original elm beams and using oak and cedar from the farm for the floor and staircase. A changing display of work by local artists and natural wood furniture complete the contemporary country feel – a wonderfully relaxed atmosphere in which to dine. Experienced Head Chef, Olivier Certain, uses only the finest ingredients from local suppliers and his experience and flair to produce food with great flavour. Marseille-born Olivier moved to Somerset in 1998 following his Michelin star training in La Bonne Etape , Chateau Arnoux, and Les Roches in Le Lavandou. Olivier had a successful few years with Andrew Dixon at Andrews on the Weir, Porlock Weir, where he helped Andrew maintain his 3 AA Rosettes. In 2006 he joined Woods in Dulverton as Head Chef where he achieved 2 rosettes and the accolade of Somerset Dining Pub of the Year 2008, 2010 and 2011. 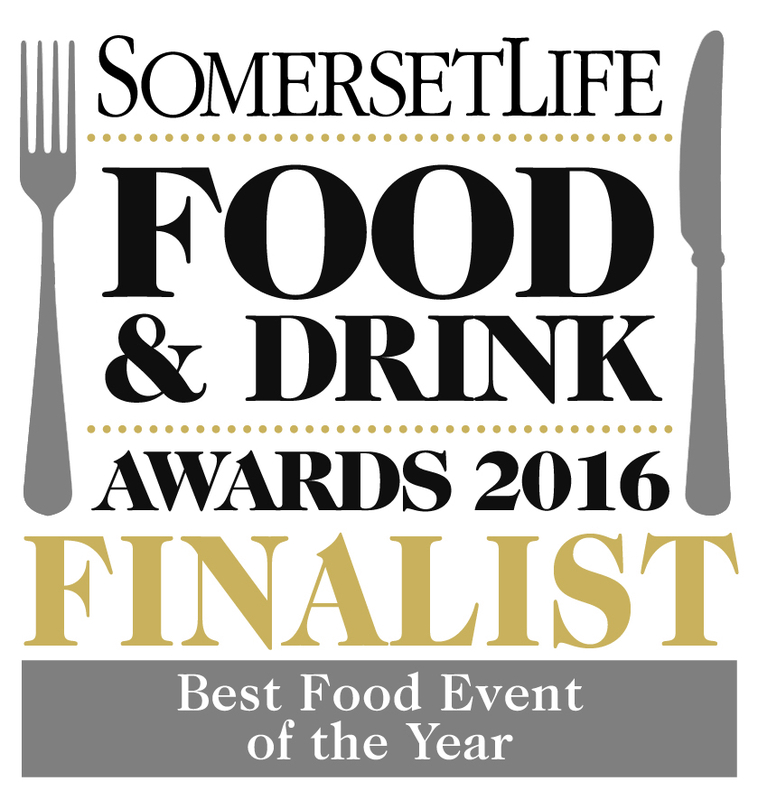 With Olivier at the helm in the kitchen, Clavelshay Barn had a very successful 2016, winning 7 awards for its food and service. All dishes are made on site, with the exception of the tempting ice cream, which comes from a local dairy farm. Bread is made daily and even the water on the table is from the farm’s own spring. Free-range eggs are from the farm’s Maran & Light Sussex hens and herbs, vegetables, salads and flowers from the walled garden. The menu is deliberately small but changes frequently to make the best use of seasonal produce. To complement the delicious food, a fully licensed bar stocks Exmoor, Cotleigh & Quantock beers, Sheppy’s Cider, local apple juice ,Luscombe Organic soft drinks and an interesting and expanding wine list, including award winning Oatley wine from Cannington. Clavelshay Barn offers superb service, wheelchair access and efficient and friendly staff. And if you’re looking for an unforgettable setting for your special day, Clavelshay Barn is the answer. Intimate parties of up to 50 guests are catered for elegantly in the 18thC barn restaurant, while a marquee can be sited for larger celebrations of up to 100 guests. Whether it’s a wedding, family party, a business event or a conference, you’ll be treated to excellent personal service, delicious locally sourced food from tailor-made menus, a relaxed atmosphere and a stunning rural backdrop. Cost £17.50 for 2 courses. £20 for 3 courses. Please mention the Exmoor Food Fest when booking. The Anchor Inn, Hillfarrance: Open for Bookings!